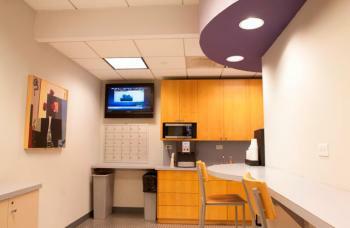 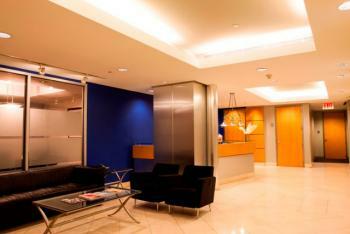 Our center commands a winning presence from the Herald Square / Garment District location in the heart of Manhattan. 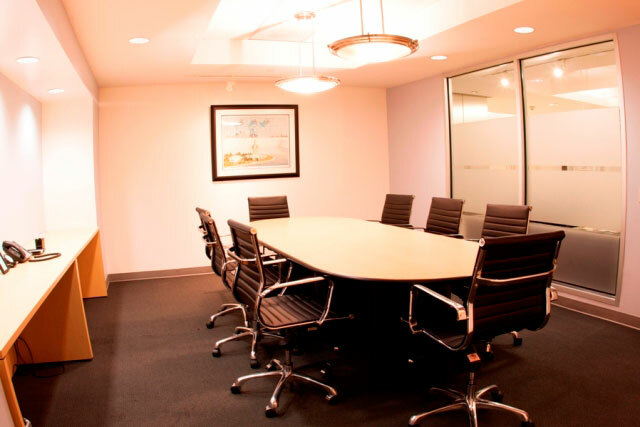 This executive suite midtown location places our clients minutes from historical Rockefeller Center, Times Square, Radio City Music Hall, the New York City Public Library, Empire State Building and some of the world's finest restaurants and hotels, including the Waldorf-Astoria, Grand Hyatt, Intercontinental and Sheraton Park Avenue. 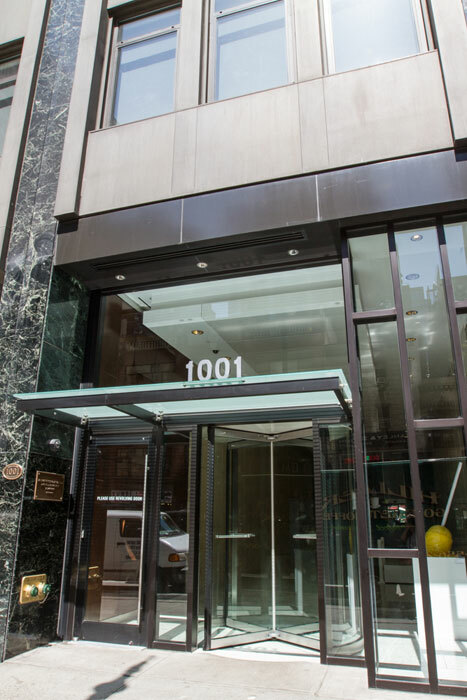 The renowned shops of Madison Avenue are right around the corner, and Saks Fifth Avenue and Lord & Taylor are nearby. Occupying the 4th, 11th and 12th floors of this 24 / 7 building, the center offers clients an elegant corporate environment, prestigious business address and suites with panoramic city views. Clients enjoy access to a handsomely appointed reception area, three equipped meeting rooms accommodating up to 12, and the latest business equipment including videoconferencing, LCD projection and T1 Internet connections. 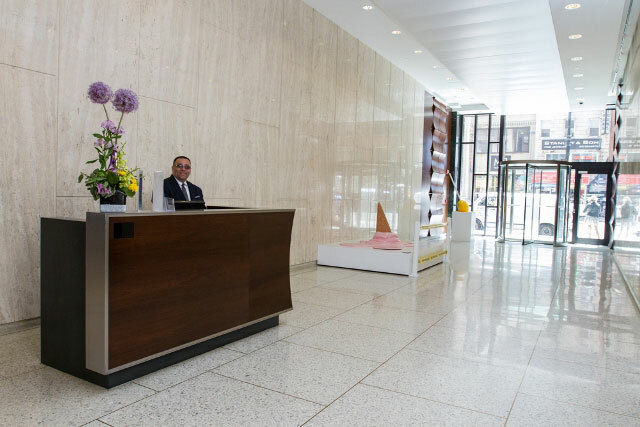 Our services include secretarial and concierge services, and a friendly, well-trained, highly professional support staff is available on an as-needed basis.